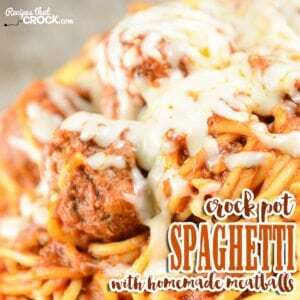 Crock Pot Spaghetti with Homemade Meatballs - Recipes That Crock! 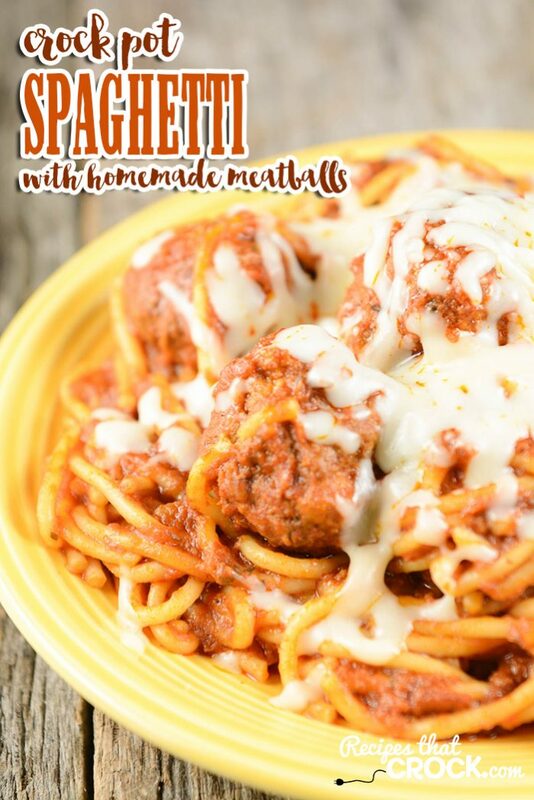 Are you looking for an easy homemade meatball recipe for your spaghetti? 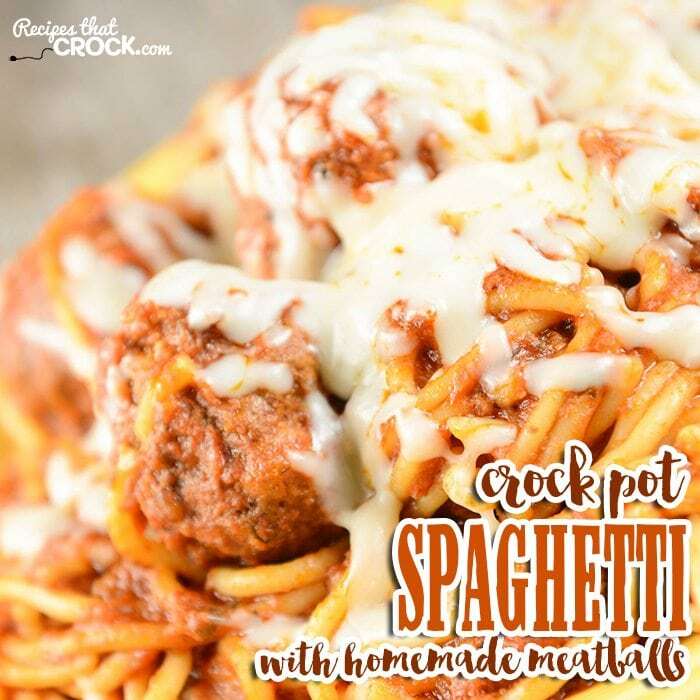 Our Crock pot Spaghetti with Homemade Meatballs is so simple to make and oh-so yummy! We recently shared our Electric Pressure Cooker Spaghetti with Homemade Meatballs in our weekly meal plan and weekly chat. 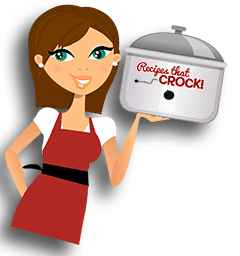 However, we have promised to share a crock pot version of every electric pressure cooker recipe so that our readers will have a recipe for whichever device they want to use. SO, here is the crock pot version of that yummy recipe. 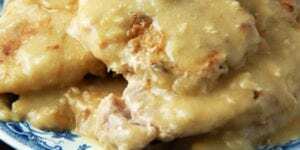 We used our 6 quart slow cooker to make this recipe. I highly recommend using a 6 quart slow cooker so that your meatballs can lay in a single layer. I have made this dish using both Parmesan and Mozzarella cheeses and I like them both. I have tried cooking this with the pasta in the dish for the entire length of cooking and the spaghetti turns to mush, so I highly recommend just adding it at the end like noted in the recipe. 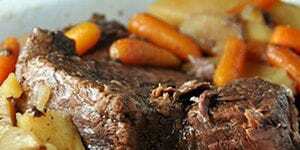 Click here for the Electric Pressure Cooker version of this recipe. 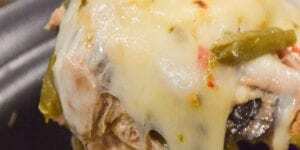 In a bowl mix your meats, milk, bread crumbs, cheese, egg and seasonings/herbs. Blend well and then form into 10-12 large meatballs. Place the meatballs in your crock pot in a single layer and then top with other jar of sauce. 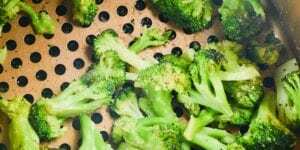 Add your water and cook on high for 4 hours or low for 6-8. Stir well and sprinkle broken pasta pieces and stir again. Cook for 30-60 min on high or until pasta is done. Stir well and serve with additional cheese. Since it’s usually easier to purchase the meats by pound (instead of 1/2 pound), I was just wondering what you might think about freezing the meatball mixture? I was thinking about doubling the recipe & freezing half but I’m not too sure of the best way to go about it. Any ideas or suggestions? I think that is a great idea! I’d go ahead and form them into balls and freeze them on a cookie sheet for a few hours and then transfer to a freezer bag. Then I’d just toss them in frozen when you are ready to use them. 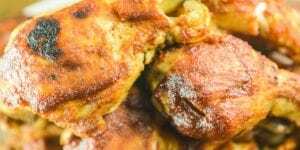 You will likely want to make sure to cook them a little longer to make sure they reach at least 160 internal temperature.Enjoy! Hi Dennis! It is such an easy and great meal! I couldn’t believe how great it turned out myself. Pasta can be tricky. So glad you enjoyed it! 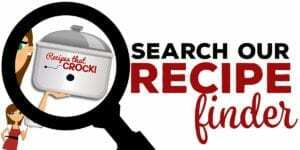 I have been trying to find your crock pot recipe for your slow cooker Italian Meatballs and cannot locate it. I got a message stating there has been strange activity on my site and to please change my password. The strange activity is ME trying to locate the above mentioned recipe. Thanks!